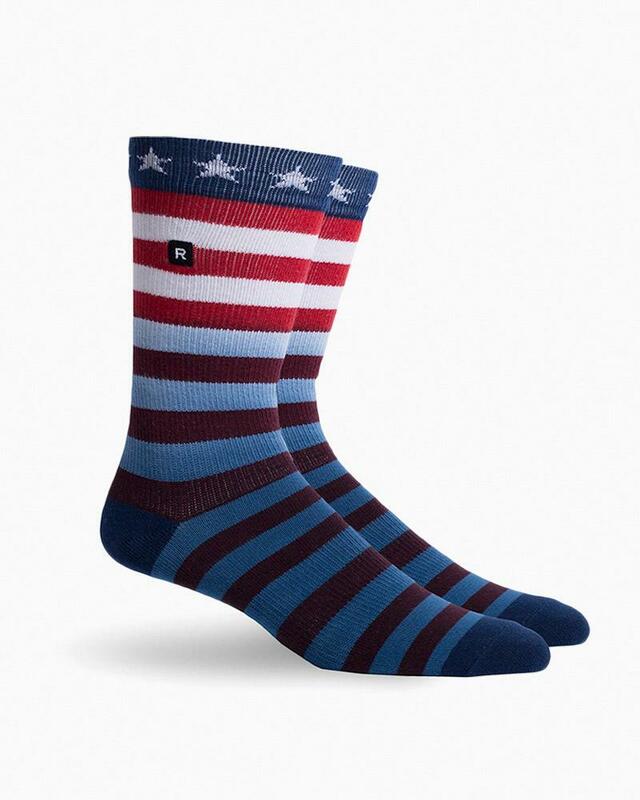 The Patriot sock the traditional pattern of the American Flag with an added splash of gradual color to enhance your everyday athletics. There is no reason to sacrifice style for function. Our Everyday Midweight Crew socks will be your go-to when you want just a little extra comfort. • Non-binding rib welt keeps the socks from quitting on you.